So, what do you all think of mules and loafers? They are the most trending shoe this fall...but do you love them or hate them? I was on the fence for awhile, but the more styles I see, the more I'm liking them. I'm definitely jumping on the train and planning to purchase a pair soon. Like flats, they are a a great shoe for fall and who doesn't like stylish and comfortable!? I love that there is such a big variety of mules out there...from tassels to bows to floral prints and more. There are even sneaker versions like number 10 (pricey but SO cute). I think the most popular mules by far are the leopard ones. They are selling out everywhere! Leopard + Tassles = win win! A pop of pink is ALWAYS a good idea! These come in camel and a red/orange color, too. These are an awesome price and the perfect mule style for work. The sparkly bows are so fun and really dress up these mules (come in black too)! I think the detail is so pretty on these and they look a lot more expensive than they are. I found these on Amazon and they look EXACTLY like the Halogen pair at Nordstrom, except they are $40 cheaper! Woot! For the floral print lovers out there! If the floral is a little busy for you, these also come in tan, black and gray and are on sale! I love the classic look of these mules. They come in black and silver and a leopard version (my fave). FYI, these run small. These are one of my favorites in the round up. The bow detail is so girly and fun! These are available in a bunch of colors. These are SO CUTE. The mule/sneaker combo is casual chic. Also, today is the last day to enter the Little Nest Portraits photo session giveaway! Check out this post for details. 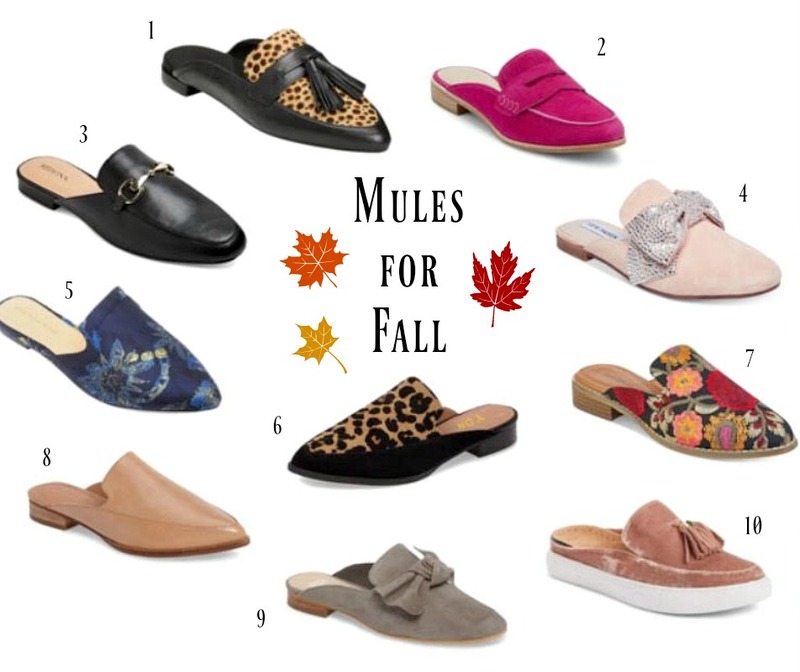 These mule looks so comfy and perfect for these days of summer.I am also intended to buy one of them for my personal use.BTW they all are quite reasonable too.